Tim Rolston, Fly-Fishing Guide, World Championship Competitor, Casting Instructor and author uses unique methods to both describe and teach fly casting. Originally published and sold out in print this book has now been updated and modified into eBook format bringing this pragmatic approach to fly casting to a wider audience. 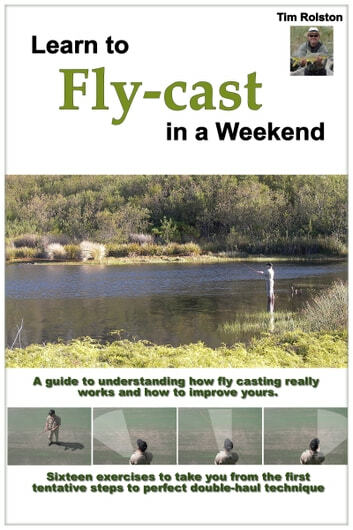 With an estimated 80% of fly fishermen unhappy with their casting technique and many limited by it to the point of fishing less effectively than they might, this book provides a simple, easy to follow description of what works. Where casting instruction in the past might have led anglers astray and how to master the technique in short order. A series of sixteen simple to follow exercises adding a new element each time provides the angler with comprehensive and structured means of learning effective technique. No other book uses the methods described here. In short the method works, in fact the author guarantees that it will. Having been used to teach hundreds of anglers to cast more effectively with less effort following the exercises will produce results, literally in a couple of days. No matter that you are a complete novice or an old hand wishing to improve this book is for you. Carp Fishing Tips and Theories. Guide Flies: Simple, Durable Flies that Catch Fish.